What lies behind the concept of BFM? 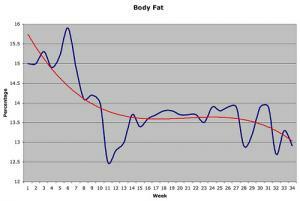 As many people know, there exist two distinct varieties of fats that can be encountered. Those are essential fats on one hand, and body fats on the other. The former are known to be in charge of the body metabolism and they are made of fats formed and stored in one’s lungs, kidneys, liver, heart, and other organs, as well as in specific parts of the person’s nervous system. Having the latter in mind, what needs to be emphasized is that they are also known as the storage fats and that they are actually loose connective tissue, i.e. adipose tissue. They are held responsible for energy storage in the shape of fats. Another distinct and extremely important function of the fats in question is their role in protection of the person’s internal organs, as well as in providing the person’s body with energy in the moments when one’s body craves it the most. Despite numerous evident benefits that they offer, in case they build up in too large quantities, it will be the number one culprit for occurrence of a quite serious weight related condition known as obesity. In direct relation to the aforementioned is the person’s recommended and healthy body weight, which depends on the height of that person. For those who seek to calculate and determine their proper body weight, the most efficient and accurate tool, used in the greatest majority of cases, is known as body mass index, or BMI for short. Those people whose BMI is or exceeds the value of 25 kg/m2 are regarded as those with serious weight related problems; they are considered to be overweight. Furthermore, if a person’s BMI is exactly or higher than 30 kg/m2, this person is referred to as obese. Obesity is by far more serious problem than being simply overweight, and is one of those condition that can seriously damage one’s health to a great extent, and in some cases even cause life threatening side effects. Having fitness and overall health of a person in mind, it must be emphasized that, in terms of importance, the percentage of the entire body fat is regarded as more essential than the person’s general body weight. Exactly for this reason monitoring one’s body fat becomes quite an important manner by way of which a person can not only monitor the body fat levels (i.e. percentage), but also control it in the most proper manner as well. To be, or not to be pregnant? Check this out if you are serious about losing weight!! !